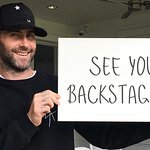 Maroon 5 is performing this Wednesday, August 11th at 7:30pm at the Nikon Jones Beach Theatre in New York and Rock CAN Roll has teamed up with them. Rock CAN Roll, Inc., is a volunteer, 501c3, non-profit, hunger relief and think tank whose mission is to be a source that CAN continually restock the shelves of local emergency food agencies. Rock CAN Roll collaborates with rock concerts, schools, corporations and private individuals to collect healthy and nutritious and non-perishable food (and basic provisions) for distribution to local agencies and into the hands of children, seniors and families who live with hunger and poverty. 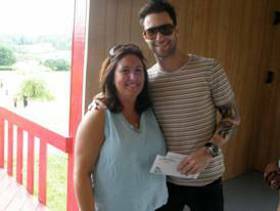 Maroon 5 and Rock CAN Roll are asking fans to bring along a non-perishable food donation to the show to help feed the hungry. For more info, a list of the food items that are most needed and a video of Maroon 5 asking their fans for help, click here.